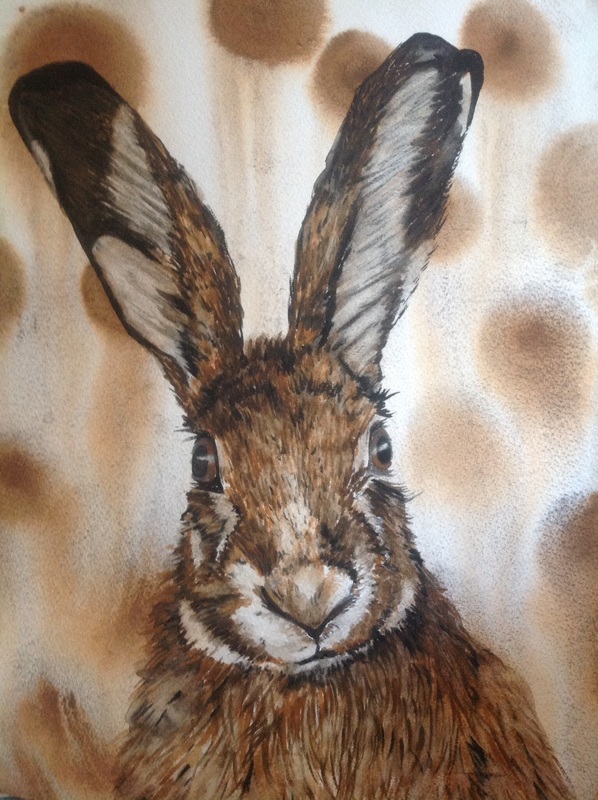 I am really enjoying this rivulet technique with watercolour, this is my take on the background, which I thought was a bit of fun, the brown hare is not finished, but I wanted to post it as I am so excited about the effects you can achieve with the background using the rivulet technique, if you want to try it,please go to my blog post 31st May 2015 (archive) rivulet technique, and click on the YouTube link for a wonderful demo. I hope if you try it you like it as much as me?. I will finish him off today, adding some more hair and light and dark tones, sort out the eyes and add the all important whiskers. 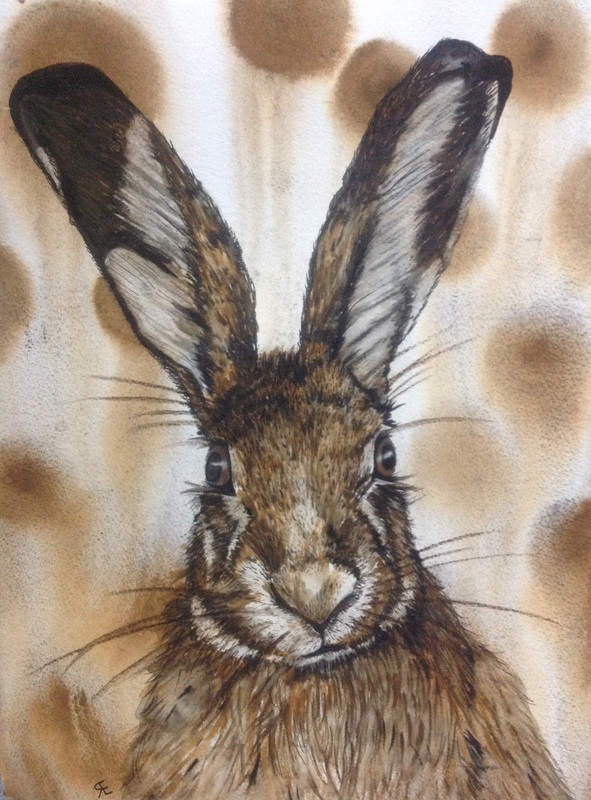 This entry was posted in art, Hare, rabbit, rivulet technique, watercolour and tagged art, circles, Hare, painting, Painting, rabbit, rivulet technique, watercolour. Bookmark the permalink. Love the detail and the eyes! The background was a nice touch.